Our Water Babies program is designed to provide your family with a positive and safe introduction into the aquatic environment. A swimming foundation is built in three areas: breath control, balance and buoyancy, and movement. Our Water Babies classes enforce our Zen inspired approach to teaching and encourage both parents and children to remain relaxed as they begin their aquatic journey together. 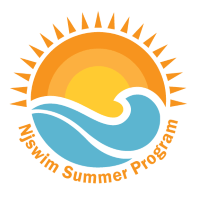 Introduction to water acclimation with 100% parental assistance. The goal is to achieve a relaxed demeanor for both children and parents. On land, breathing is often done subconsciously. In the water, conscious control is needed. Involuntary shut off of breathing will be demonstrated and practiced by gently pouring water over children’s heads. The children will feel their buoyancy 22” below the surface of the water. Proper submersion techniques will be demonstrated and practiced. Movement develops as breath control and balance control are gained. Precise controlled motions stimulate neurological connections which aid in the development of learning. Introduction to developing breath control and coordination. The goal is to wean children into lessons using less parental assistance. Involuntary breathing becomes voluntary. At this age children are responding to language, cadence, and count. Proper aquatic breathing skills are practiced. Children learn to become more aware of their buoyancy through independent propulsion and back float. As children are able to control their motor skills on land, propulsion techniques are practiced in the water as they relate to swimming skills. Our approach to teaching is Zen inspired with goals focused on achieving balance and oneness with the water. Once our swimmers “discover their buoyancy” they will develop a more efficient approach to swimming. 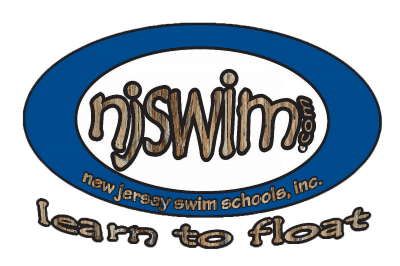 Swimming is a physical learning experience. Movement helps develop neurological connections in the synapses of the brain. Children learn best by interacting with their environment. Water Babies I and II is specifically designed to coincide with the child’s developmental readiness. Water acclimation and adaption take place through continued practice. Year round lessons yield optimum results. Cognitive, physical and social skills are developed providing a building block for learning. Aquatic motions stimulate neurological connections which aid in brain development. Babies natural aquatic reflexes become controlled swimming actions. Swimming and water play is a multi-sensor activity that engages sight, sound and touch as well as a baby’s sense of balance, muscular movements and pressure. 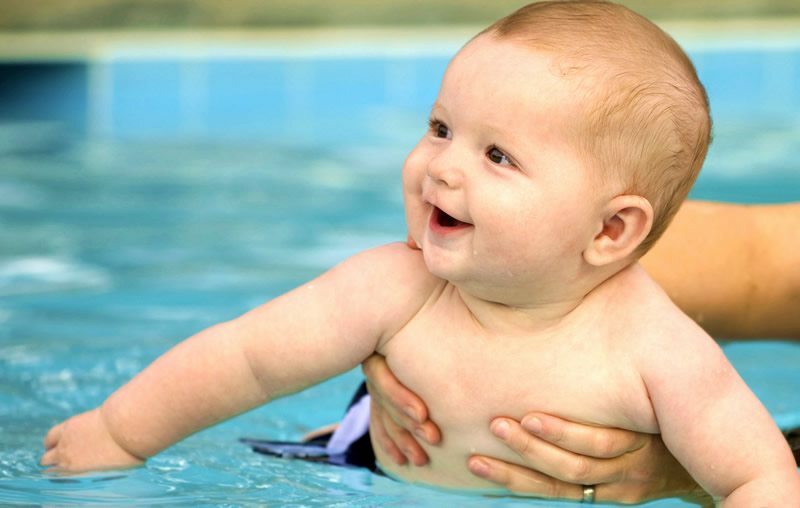 Baby swimmers have better balance and are also better at grasping things than non-swimmers. Swimming children are more willing to make contact and adjust themselves better in groups of contemporaries. They are more independent and less timid. They can cope with new and strange situations better. Skin to skin contact promotes a healthy parent-child bond. Select your preferred location below to view days and times. Click on “Register” to be taken to the Registration Page. Acclimate your baby to the water during bath time. Help them float on their back for a few moments at a time while carefully supporting their head to keep their face from going under the water. Talk and sing to them while they float so that they hear what your voice sounds like with their ears in the water. Ears should be all the way in or all the way out to avoid that uncomfortable splashing. Gently pour water over their head and face while in the tub. This will trigger the involuntary shutoff of their breathing reflex. You should notice that they are naturally catching their breath as the water flows over their face. Although we count on on babies’ ability to use their natural reflexes, through gradual progression and repetition we train our Water Babies to control their breathing before they go underwater. Bring your baby in the shower with you. Allow the warm water to splash first on their back and then use your hand to guide the water over their face. Make sure you sing, smile, laugh and use varied intonations during this experience to help create that positive, loving atmosphere in an otherwise potentially overwhelming one.